I have convinced myself I need new jewelry for a new season. Take a look at Apple Bite Jewelry on Etsy for macabre romantic gothic jewelry. The Swarovsky gothic choker is my favorite. The intricate metal work is stunning. This would work well for both steampunk and dark Victorian garb. The gothic black cross crystal drop earrings would work well with the choker above! I think the crosses are beautifully integrated with the dark metal spirals in the background. 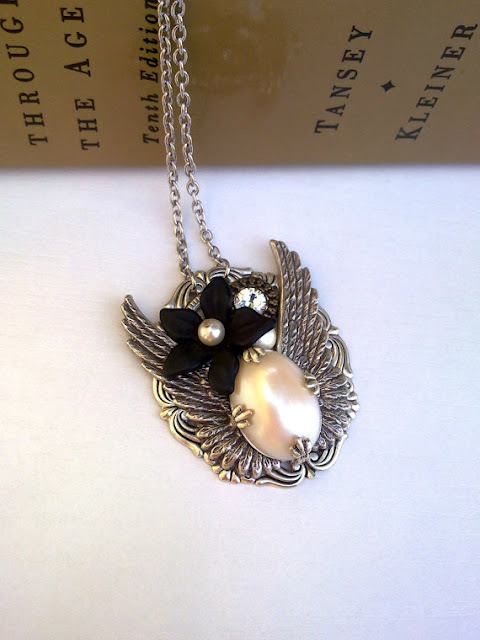 It's interesting how the flower on the Swarovski Victorian black flower pearl isn't centered. It's a little unsettling that it's a bit asymmetrical. 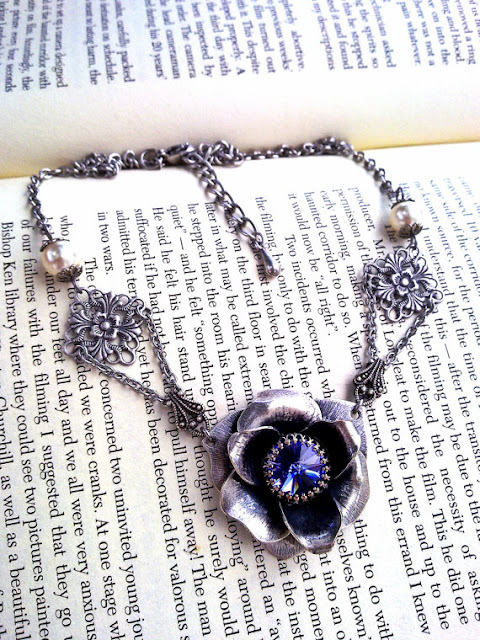 Even so, this necklace is very pretty. Beware, this isn't a set of rings, these are just the options available for this particular style. 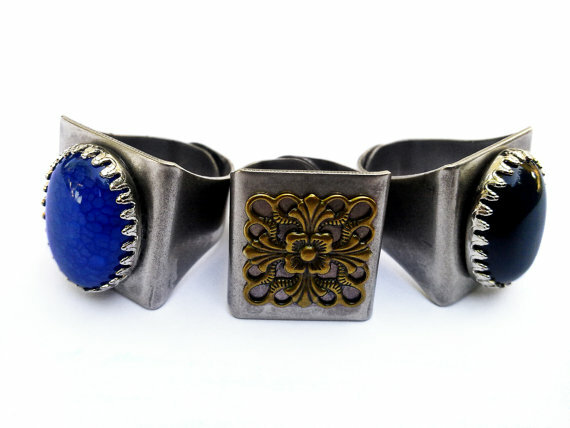 My favorite gothic ring rocker is definitely the filigree! 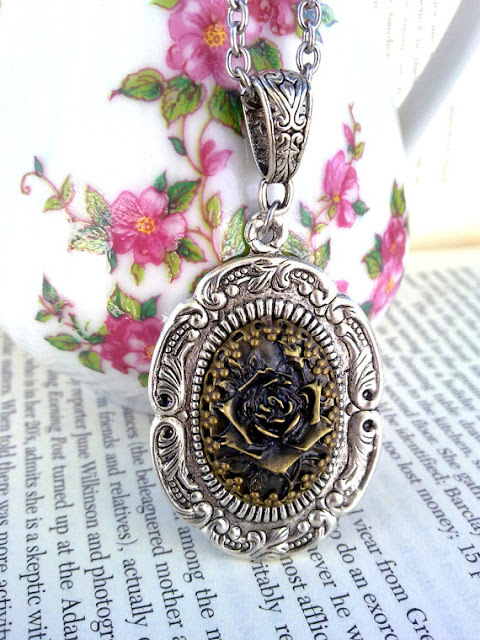 This rose cameo pendant necklace looks like an antique. 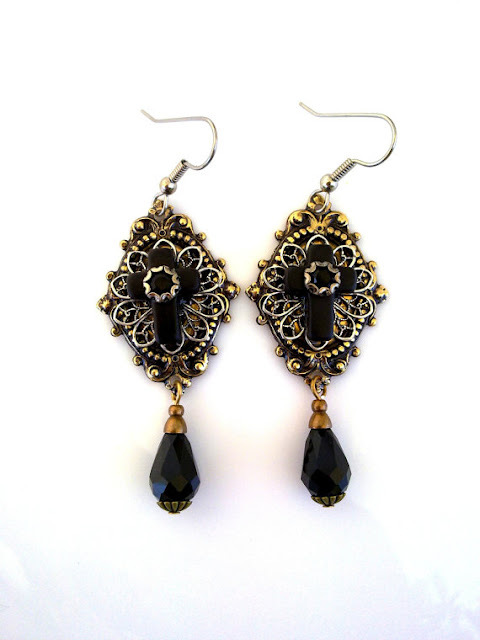 I imagine women from the Victorian era wearing jewelry such as this. 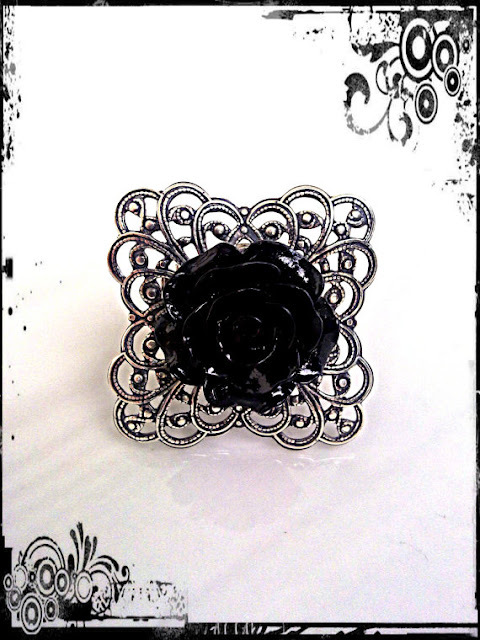 Don't you think the black rose ring gothic ring looks like a three dimensional filigree? The black rose definitely gives this ring a more eerie feeling. 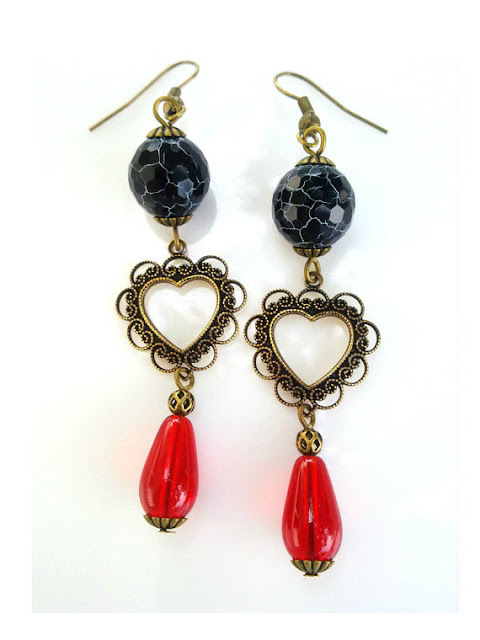 You may find that these gothic heart earrings are too cute. It's that the Queen of Hearts from Alice in Wonderland would wear. 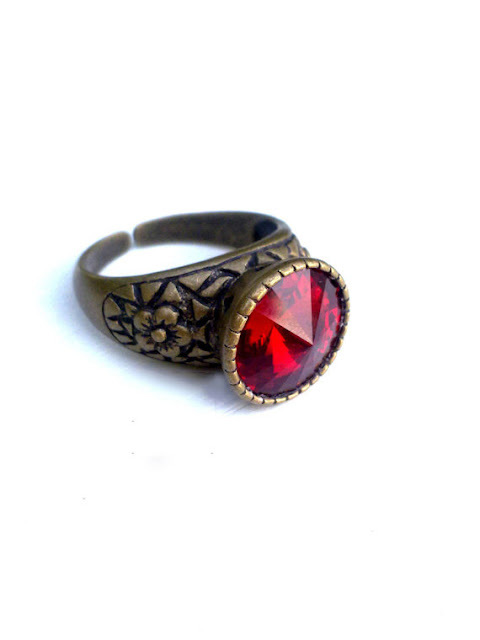 This gothic red Swarovski adjustable ring is a powerful piece. It's bold, but very elegant. People of royalty would wear this kind of ring proudly. Is anyone else thinking of Bloody Mary? This is a very mysterious and ominous piece of jewelry. The gothic Swarovski crystal necklace emits a slightly malevolent magical energy that is awfully alluring. 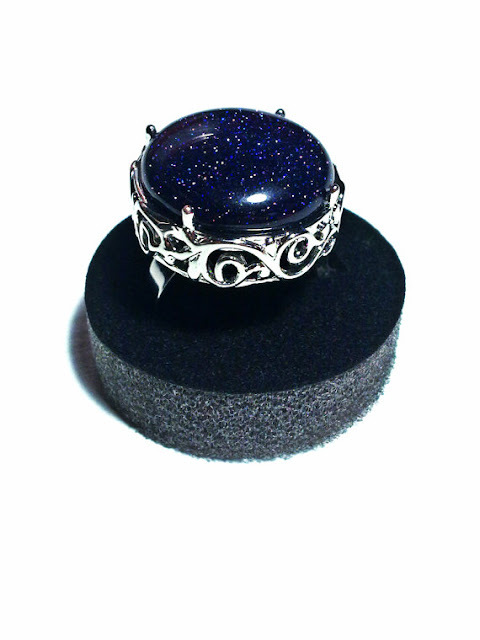 This gothic filigree blue ring also looks like something a wicked witch or gypsy would wear. It looks like you are looking at the midnight sky. If you like my top ten, you may consider checking out the rest on Apple Bite Jewelry on Etsy. It was hard to pick! Comment below and tell us about some of your favorite pieces from Apple Bite Jewelry.